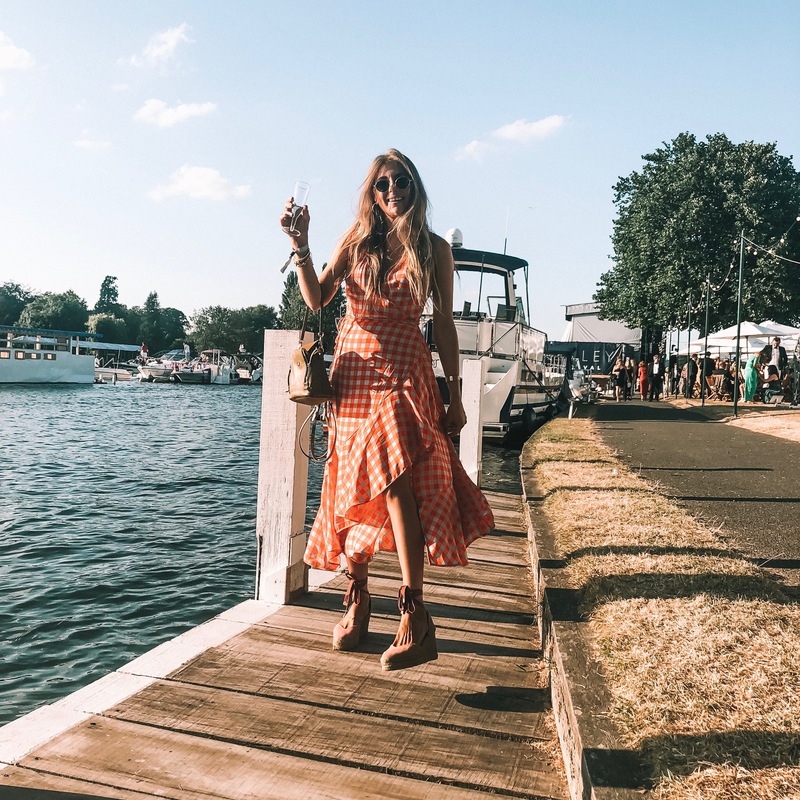 Basically, Henley festival is a right posh do where you all get dressed up to the nines and have a lovely upmarket day of drinking champagne by the river and milling around the various tents and food stalls before the headline act which in our case was Rita ora. After which everyone heads to the dance tent where the shoes come off, the dress gets hiked up and hits come out thick and fast. It’s literally the best of both worlds and I can’t wait to go next year! Of course for an event like this you need a dress fitting for the occasion so since we were going with Bicester Village we were kindly gifted vouchers to go and treat ourselves to something fancy to wear. Let me tell you, a black tie festival isn’t the easiest to shop for. After seeing a few I loved in Sandro, Maje and Ba&sh I finally settled on this insane DVF number. Deciding that everyone should own a DVF wrap dress and this would be my forever dress. What can I say I’m a girl who isn’t afraid of commitment. I also picked up this incredible find of a Chloe backpack in Khaki. 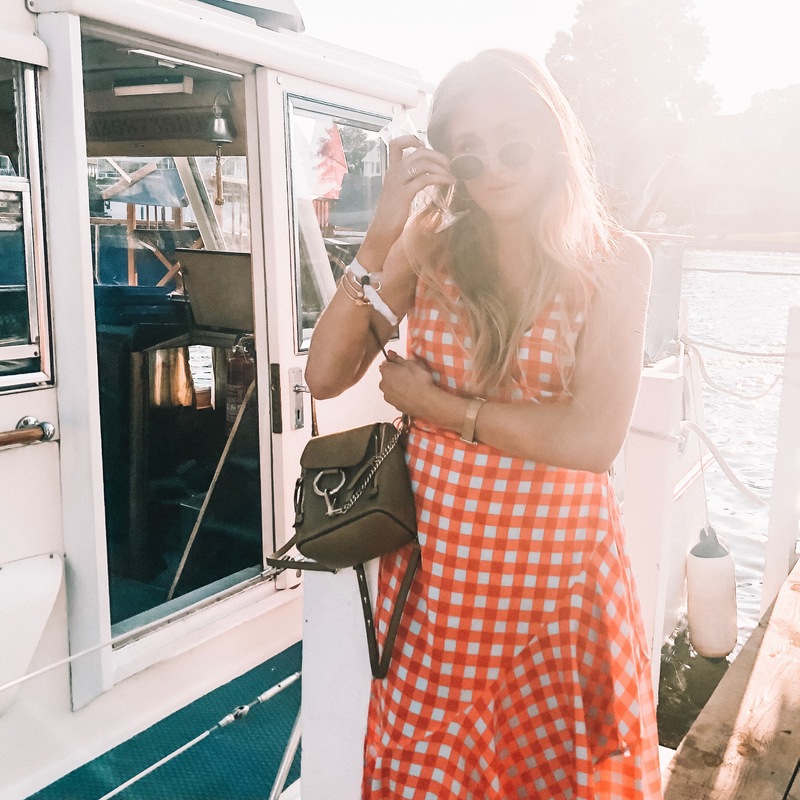 It went perfectly with the dress and added that festival vibe whilst keeping it luxe. Finally Castaners to finish it off and ensure I don’t slowly sink into the lawn. What do you think? I’d say I nailed it! So back to the day itself. The World Cup was on which was a good and a terrible thing. Good because it definitely added a fun buzz to the day with people running around sharing the news of the 1-0 score and men in their tuxedos with England flags painted on their foreheads. Then came the tense second half when pretty much the entire festival was crammed around one private tent with a tv screen biting their nails, hiding their faces and downing pimms in a bid to distract themselves from England’s disappointment! After the football we all headed to the main stage for Rita Oras performance which was incredible! She’s such an amazing singer it was like listening to the record! I was also shocked at how many songs of hers I knew! Like there’s the obvious ones of course but she sings on so many records you wouldn’t think I found myself singing along the entire time! 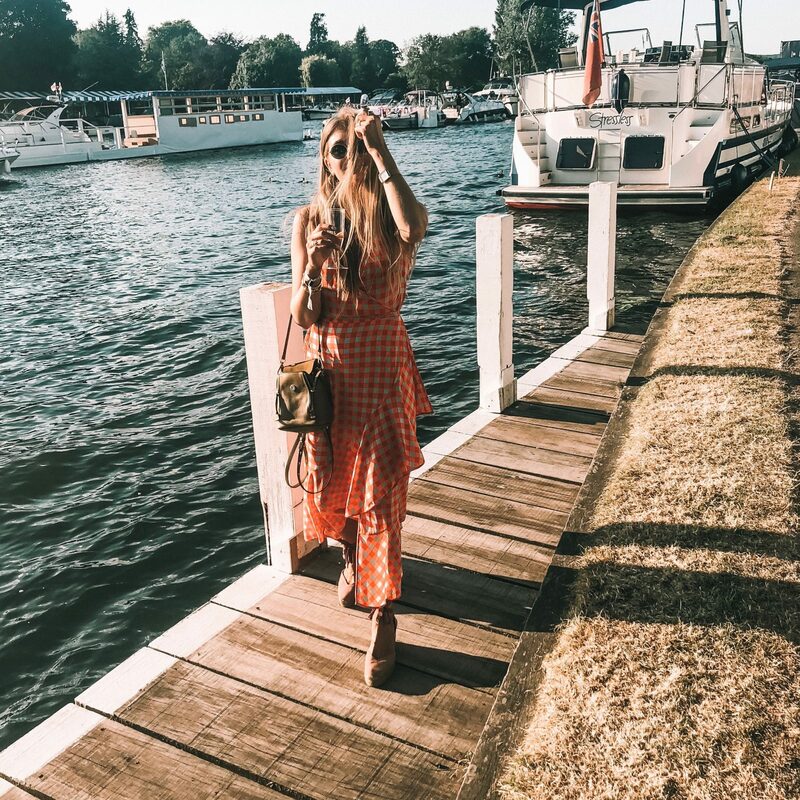 Make sure you check out my Vlog from the Henley festival so you can see what it was like and hopefully I can inspire you to go yourself. If nothing else I’m sure I can tempt you with a trip to Bicester Village to pick up your own DVF dream dress! 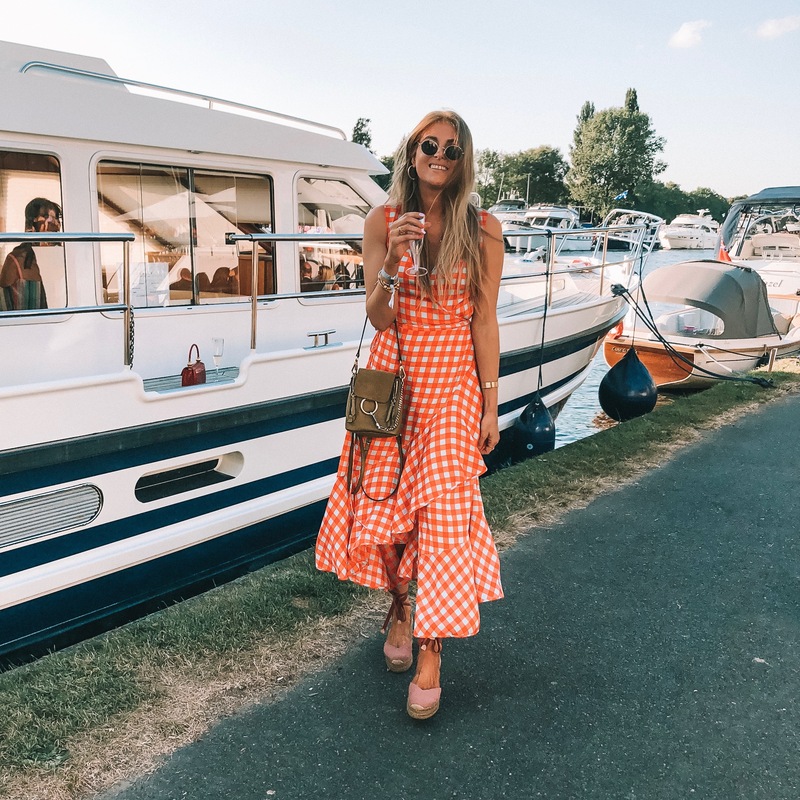 If there’s one thing you’ve got to do at Henley Festival is get yourself on a boat. 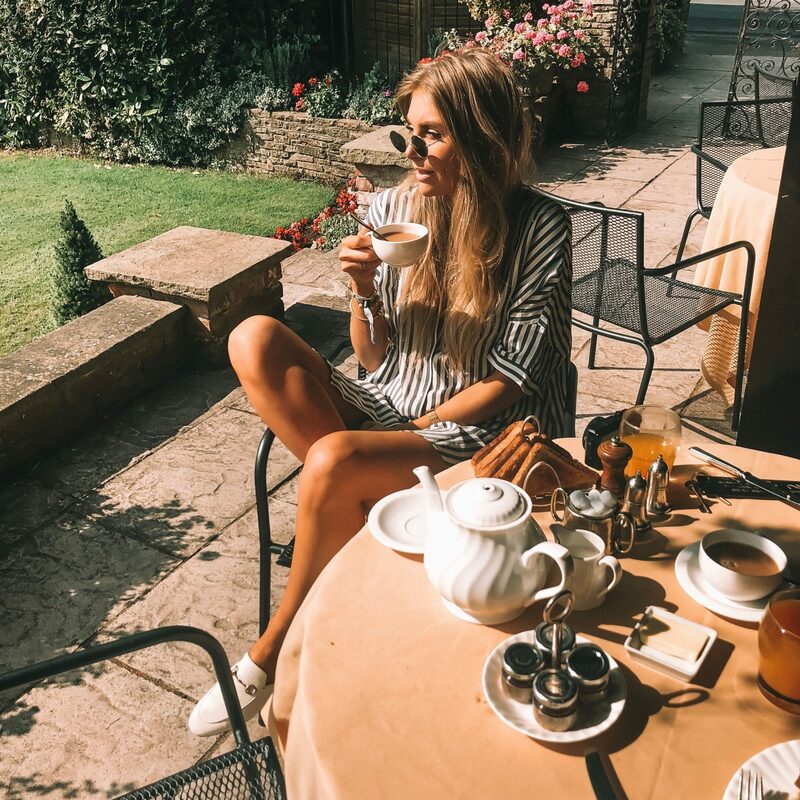 We were sat enjoying breakfast on the terrace at the most beautiful hotel, The French Horn (apparently George Clooney regularly eats here and lives across the road so definitely worth a visit) when we noticed the most beautiful boat floating in the river. Obviously it was then our mission to find out who’s boat it was and get a shot for the gram, absolutely no shame whatsoever. 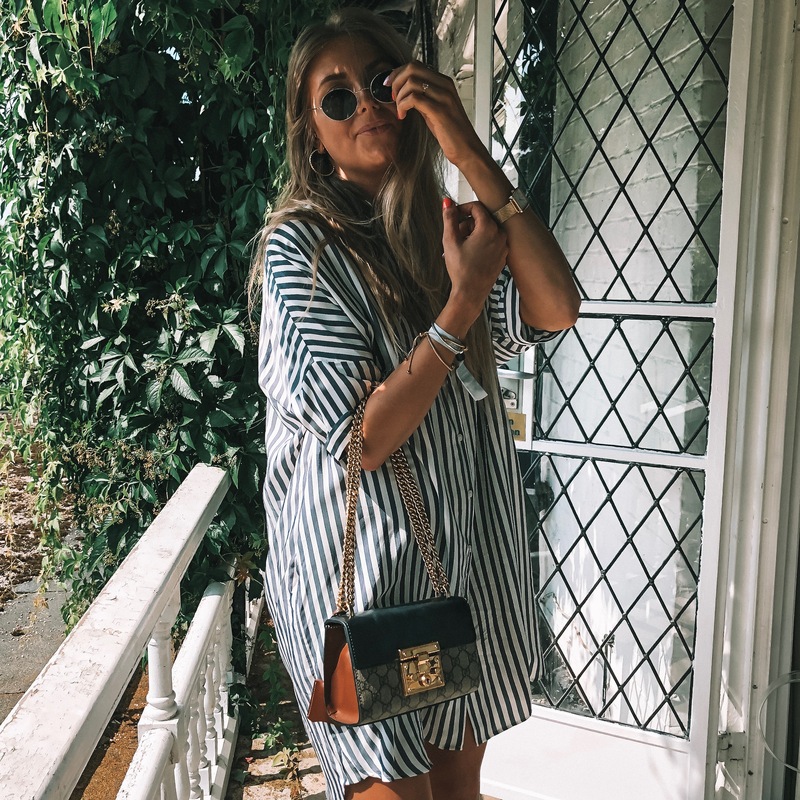 For the journey home and breakfast I went for my new fave dress which I already have in this colour which is actually on sale right now, and obviously love it so much I’ve decided I need a collection, one in each colour! 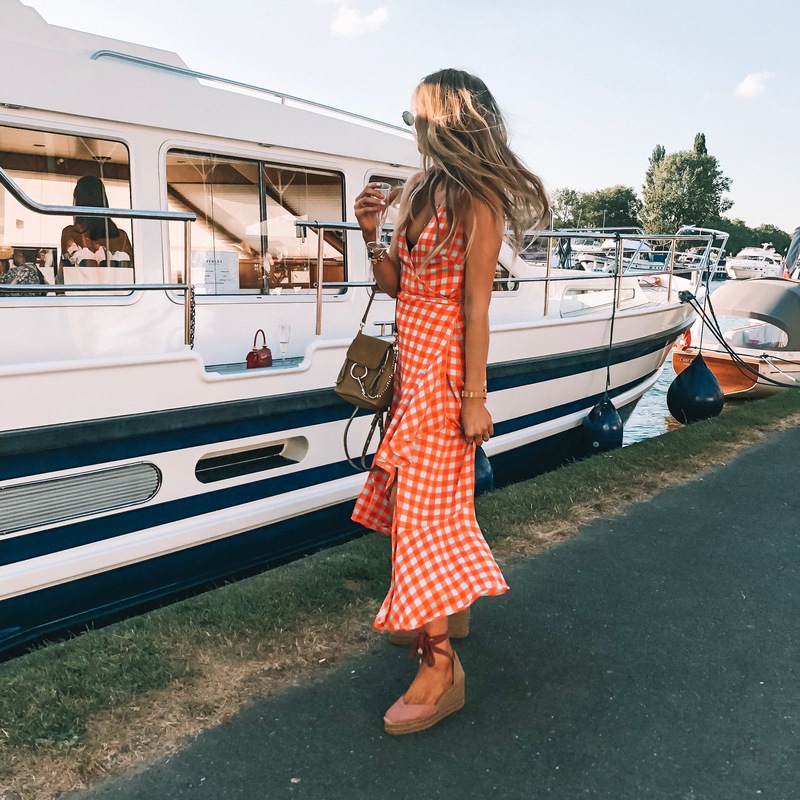 I went super laid back Henley Festival chic with my Gucci slip on loafers and my matching Gucci bag, so comfy. Previous Post Chloe Faye Review & Comparison | Which Size Should You Get? Ah thankyou so much lovely! it’s amazing I will definitely be going back!